S3 Backup is the most reliable, fast and simple to use solution around for keeping your data backed up online but still safe and encrypted. You can use your own Amazon S3 account and encrypt your files with some really strong ciphers. 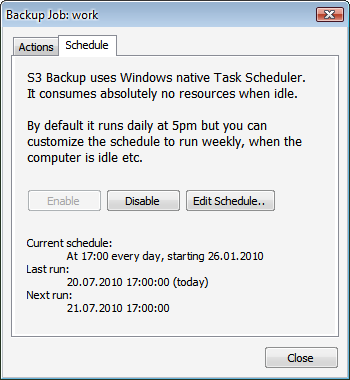 Running a scheduled backup job allows you to be secure in the knowledge that no matter what happens to the computer or your entire network, you will always have access to all of your important files. 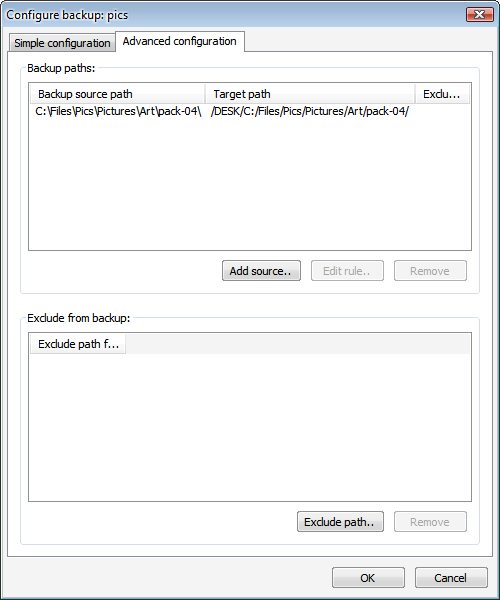 Fast backups with flexible scheduling. Very nice, nimble and to the point but feature-rich user interface. Extremely strong encryption on-par with military ciphers (AES-256 CFB, bcrypt-10). Data compression for smaller storage and transfer bill. Authentication and password protection for your credentials to make your data extra-safe. Time-proven fantastic reliability. Thanks to a long product history we’ve already figured out all the quirks. Uploads only files modified since last run (differential backup). Modified files are detected with a smart algorithm that avoids disk thrashing. Logging console for under-the-hood look for the techies. 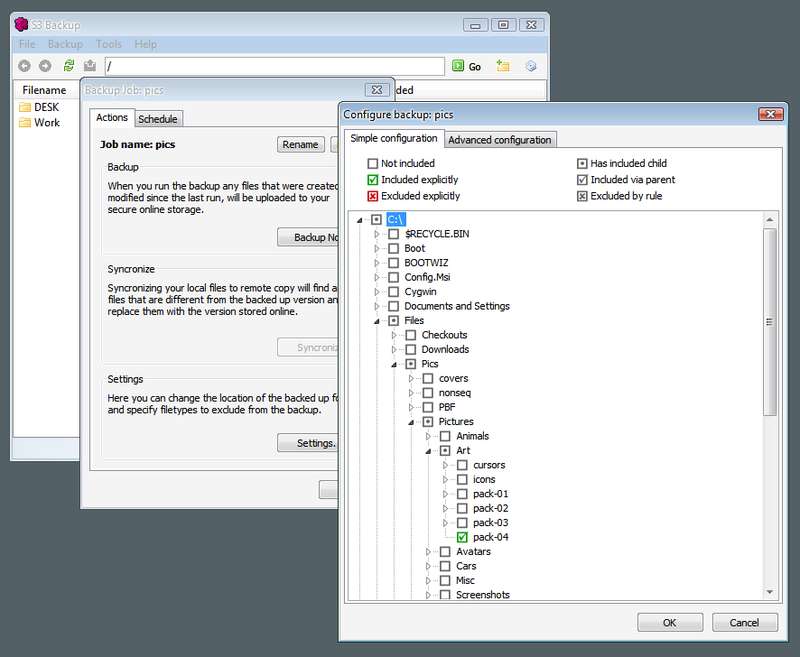 Screenshots: Settings window, backup set selection, backup rules advanced configuration, sheduled backup job.